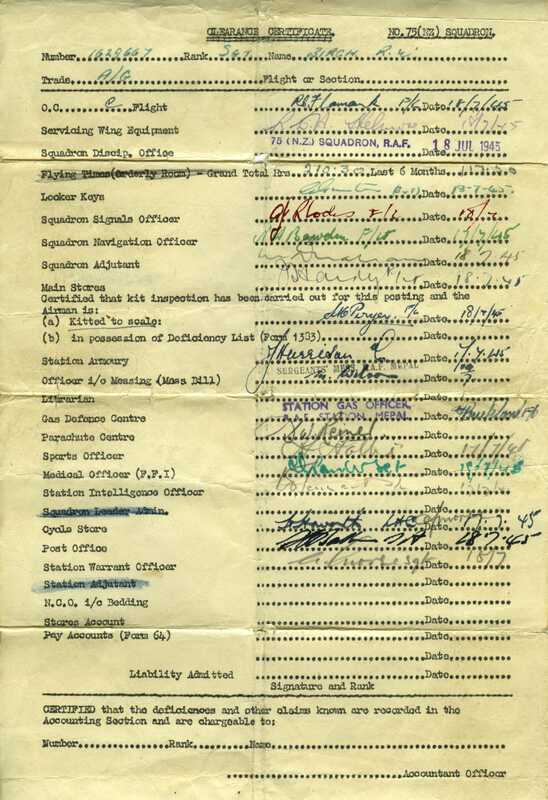 A fascinating document from Martyn – what we assume to be a signing off document that Reuben would have needed to have had completed before he left 75(NZ) Squadron and went to 44 Squadron. I would love to think that perhaps somebody might recognise or perhaps know something about some of these signatures – fingers crossed. Any more would be greatly appreciated!